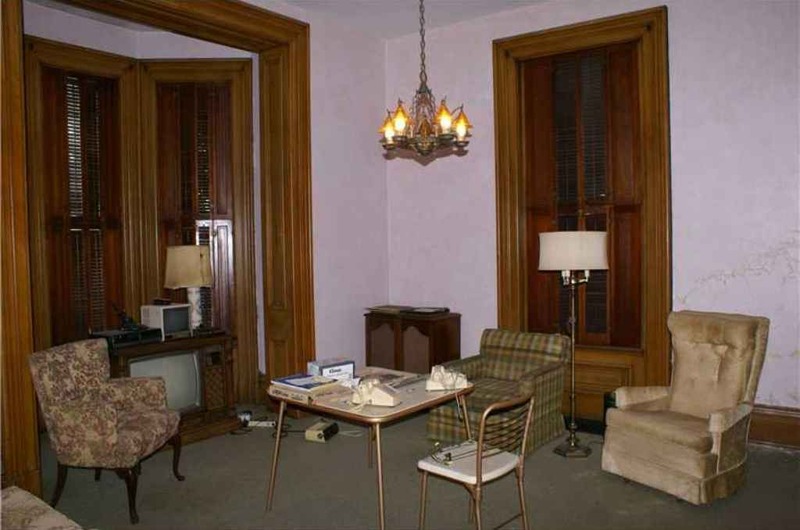 Much potential in this historic all brick home on a large corner lot. Original doors, baseboard & window trim. Many things in need of repair and much renovation needed. AS-IS, cash only. 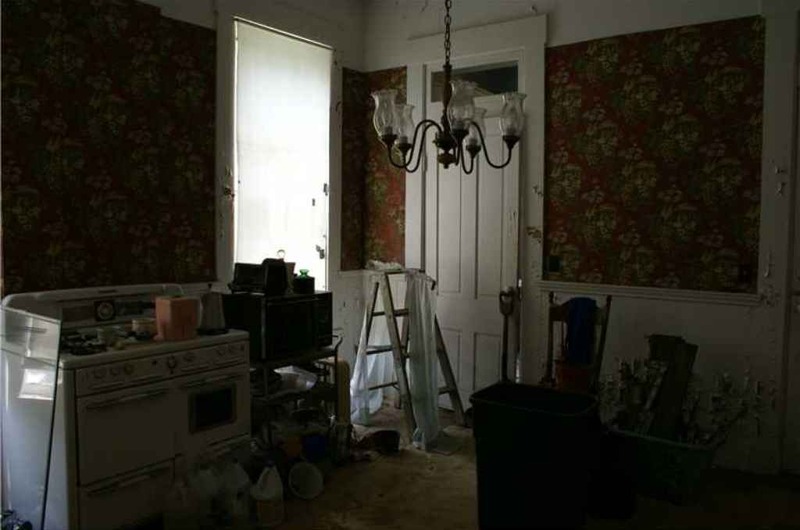 A nice intact, but rundown house is always a better starting point that something that had been remuddled, this would be an easy restore for the right person. This place is a dream. Stunning. I love it! Paul… there is a LOT that needs done to this… but, you’re right, it’s more neglected than rundown (and there IS a difference). The first thing that needs done is all the critters removed and everything sealed back up. This is just a few houses up from my mom on the opposite side of the street. The bones of this house are GORGEOUS! Man, the wallpaper is already stripped and ready to go for the next owner! 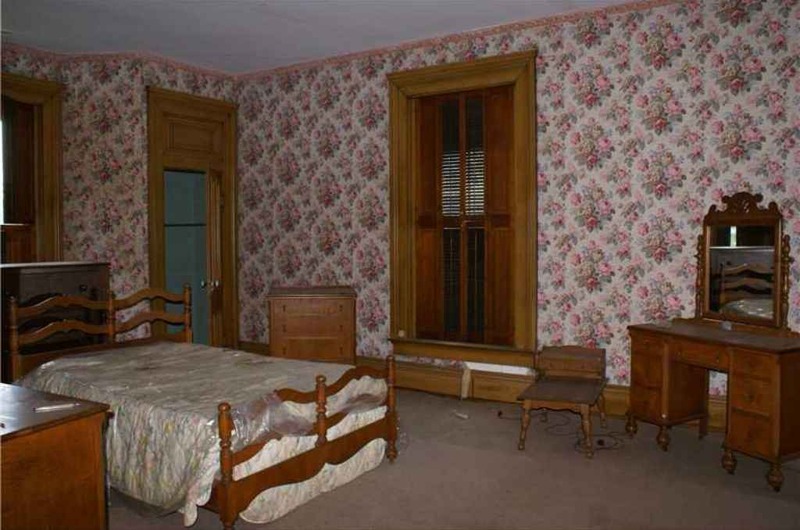 I’m all for period wallpaper but that nasty floral in the foyer is awful, just saying. We bought that house! It looks way better now! Judith, congrats! It’s a fantastic house, and it’s lucky to have someone who cares looking after it. Do you have photos online or can you send Kelly some? We’d love to see more of the house and what you’ve done. Rosewater, you need to come up to Logansport sometime and see our little project. John S came all the way from Texas and your just aways down the road. I’d love to Paul; though I thought you were working in Cincinnati lately not Logansport. You’re always welcome to pop by my little shack here in Noblesville too. I was just on the NPA home tour, and it was loads of fun having folks through and talking about old houses all day. There were easily a thousand people who visited, and I had so much fun talking with as many as possible there was hardly a moment for me to see the other houses featured. It took some bit of convincing from board members who are my neighbors, but I guess people really do “like to see the before / mid project” houses, not just the pretty finished ones. I wouldn’t have paid ten bux to see my house as is! Hehehe. I was checking out John’s FLICKR page last night, https://www.flickr.com/photos/11236515@N05/ , and he has posted some great pix, as ever, from his latest trip; especially this GEM; https://flic.kr/p/zgr9zb . Don’t think he’s posted his pix from Logansport yet, but I’ll watch for those. Drop me a note on my FLICKR so we can keep in touch and get together soon; https://www.flickr.com/photos/regulusalpha/ Cheers Paul! J. Thanks for the photo compliment. Since I fancy myself as a bit of a gardener, these rare Victorian era conservatories fascinate me. (as do original carriage houses) Both this fine Queen Anne (Goddard House) and the Italianate next door (almost a zero lot line between them) are available for private sale at a price so low I honestly can’t post it here for fear a low-end landlord might try to buy them for rental use. Both the owner/seller and City of Muncie want to see the two almost conjoined houses sold to someone with preservation in mind. (both are on the National Register as contributing District properties) These historic properties anchor one corner of a major Muncie Historic District. But we saw far more than just Muncie…upcoming photos will include Anderson, Kokomo, Huntington, Elwood, Tipton, and Logansport. 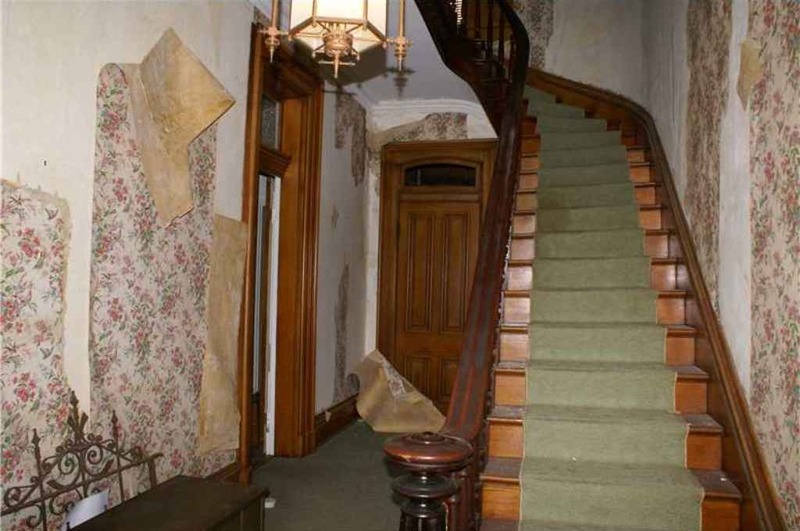 One historic Illinois town, Jacksonville, was also extensively photographed with two houses there featuring interior photos. Much more to share (over 400 photos total) but finding time to upload them has been elusive as of late. I know that you’d enjoy Logansport and seeing the unbelievably well preserved 1884 Burgman building where Paul W. has recently opened his antiques and design business. The unique original “Persian” room upstairs will blow you away! Aaaahhh, you got to see your dream house up in Elwood! How fun. You’re right about that Persian room – WOW. I’ve seen the pic, and hope to see in person soon. Cheers John! Thanks, Jeff. I’m sure Paul would enjoy meeting you and giving you the tour of the 1884 Burgman Bldg. and its exotic Persian Room. Hi, Judith! This is Crickett’s daughter! I hear my gf, Jennie, came by with Joan to check out your hard work! I can’t wait to stop by with them week after next! I haven’t been in that house since the late 60’s/early 70’s. I have always loved it! 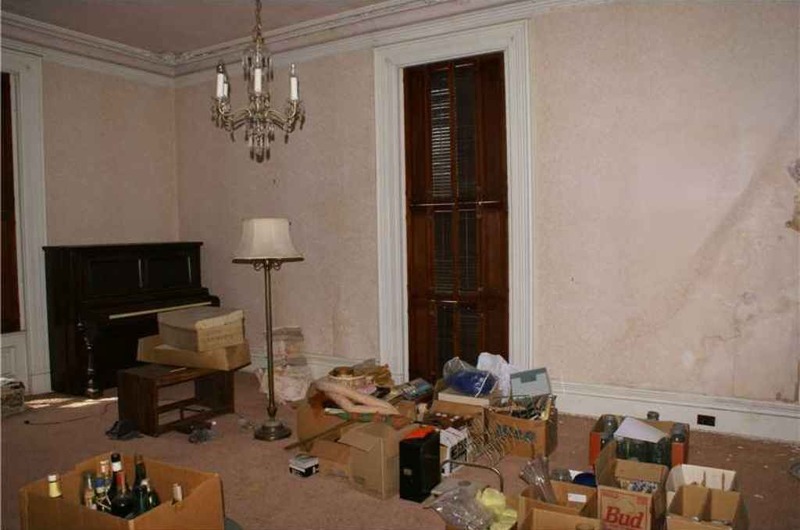 Were you able to uncover the hidden (in these pix anyway) “cellar”? We used to play in it as kids. I would play with Mrs. D’s grandkids when they would come from NJ. Looks like it may be a bit scary these days! LOL! All this AND an O’keefe and Merritt range for $30G!!! Holy………. UUUCH! Just saw what they did to the house across the street. Tragedy! I think this house is on page 40 of the Atlas of Decatur County Indiana 1882 as the Residence of M. Grover; it is on the same page as the Interior of the Grover and Stevens Drug Store of Greensburg, Indiana. Sorry I don’t know how to link to individual pages on the atlas. Cool find! The 2nd and 3rd links didn’t work but I was able to find the page in the 1st link, going to page 40. The links work for me clicking on them from my computer but probably because the entry page of the website makes you agree to site terms to view items and I have already done that from my computer. Sorry. 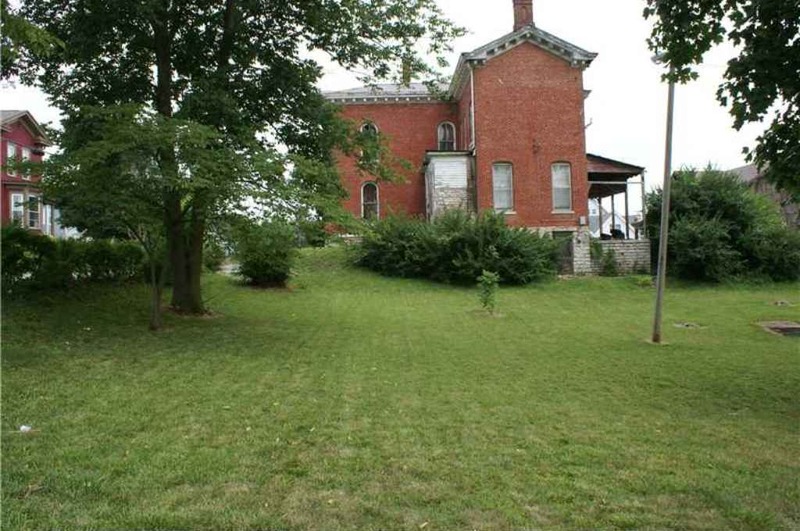 I found the property using the Indiana, Decatur County map. The links were just a 2002 photo of the house and a sketch from the parcel report available at beacon.schneidercorp.com. You can check on city/county data for parcels from different counties in a variety of states if the county has all of their information available online. It has description, build date, tax history, square footage, outbuildings, selling history, owner, photos, sketches, valuations, improvements, etc. The gate in the hall makes sense for the approach in the historic photo. Would be the gem of the neighborhood there if fixed up. Looks like it needs some help for sure but not too far gone yet by a long shot. Entry price seems way cheap and probably could knock at least a few thousand off that to seal a deal, and maybe quite a few. I doubt there are too many people clambering to get at it. 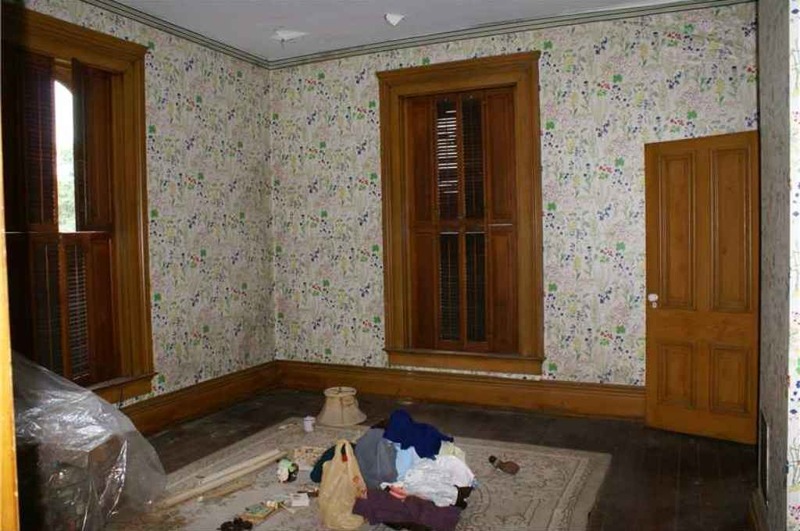 Margaret hated that wallpaper too, but she always did have a short attention span. 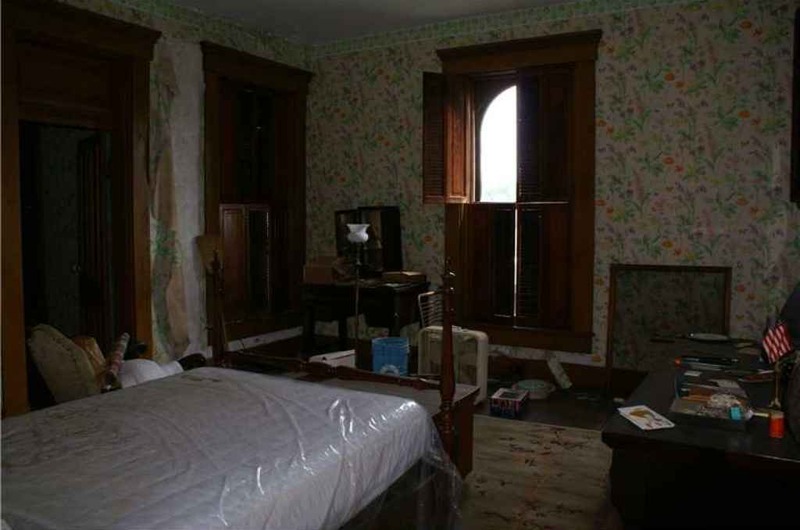 So nice and intact – round top windows ,shutters, unpainted woodwork, great stove & light fixtures remain ! Not much I can add that hasn’t already been said. While not architecturally cutting edge or likely designed by a famous architect,(but maybe a planbook design?) this is a remarkably well preserved house of its time. Notice that someone was smart enough to stash the ornamental front iron gate in the house? (as someone equally wise did with the front gate of the Hillsboro, OH house posted recently) The fixtures and details are all excellent. 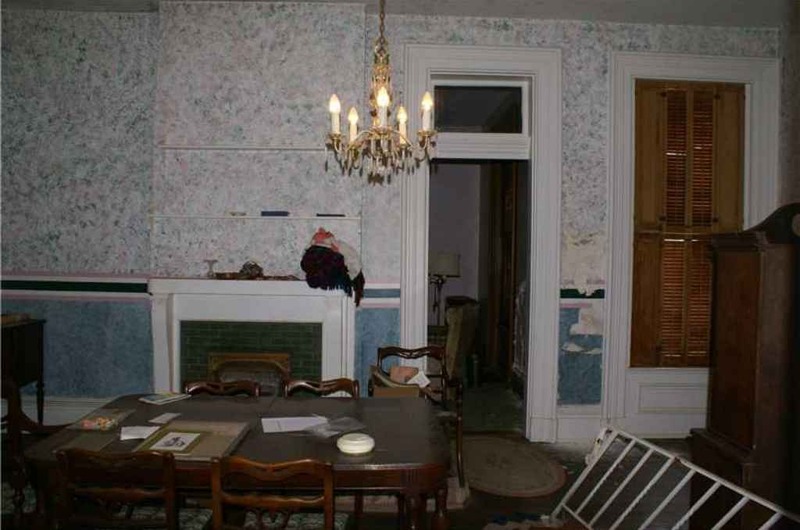 The house is showing its age a bit but is not far enough along in the deterioration process to require everything. Given its outstanding history in the community (and nice period illustration) and the level of intactness, this one seems like a great bargain, subject to inspections and due diligence, of course. Small town Indiana continues to be fertile ground for wonderful old house discoveries. 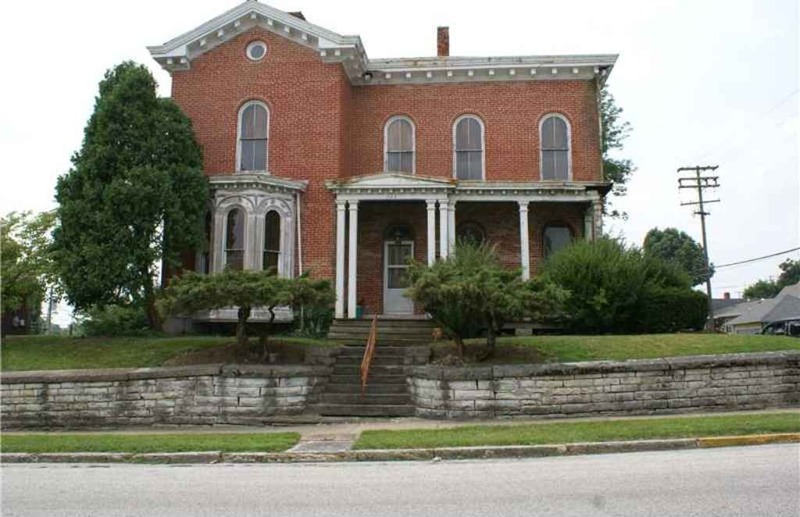 Ive lived in greensburg for many years and this property is a beauty. Like rushville, alot of the colonial homes have been remodled and restored. 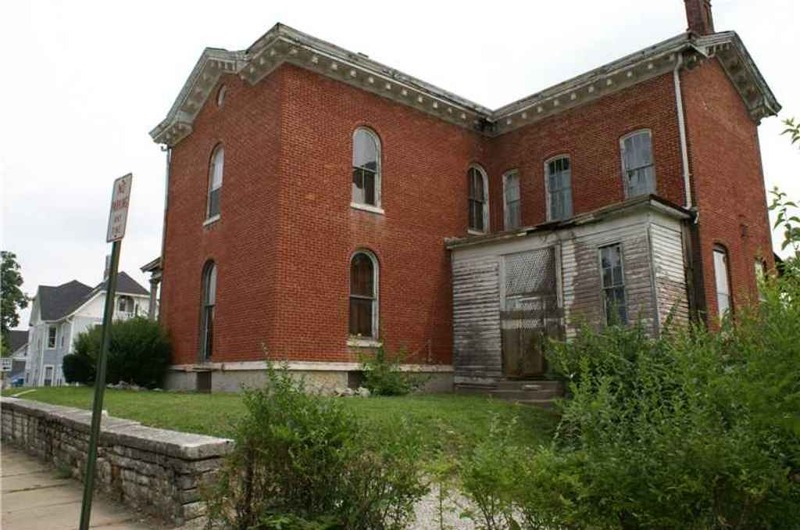 Some TLC on this home could be a remarkable project. Best of luck to the new owner…hate to see a beautiful home go to waste. IF anyone reading here buys this house and doesn’t want the vanity in that first bedroom picture, I would sure like to talk about buying it!!! The house next door is for sale now.